It is necessary to understand a number of basic terms before discussing the limitations of network cabling and data communications, which we plan to discuss in details in our blog posts in future. Engineers, vendors and network managers often use many communications and high-tech terms when they discuss networks and data cabling. What makes things worse is that they often don’t fully understand what they mean and therefore misuse the terms. One common term used in data communication is bandwidth. Does it mean maximum data rate or maximum frequency? Other terms thrown around as if everybody has a PhD in electrical engineering include resistance, impedance and capacitance. Another term that is often misunderstood is decibels. Decibels were originally used to measure sound, but that is no longer true when we talk about data communications. In this article, we’ll get you up to speed on common terms used when talking about cabling used in data communications. One aspect about cabling rating that is confusing is they are rated in hertz and not in bits per second as one would expect. Network engineers care more about how much data can be transmitted through the cable than at which frequency the data is traveling. 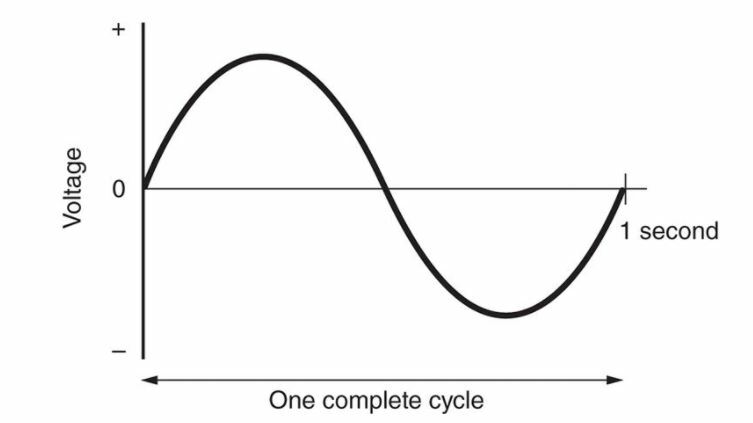 Frequency is a measure of the number of cycles that are done per unit of time and is generally measured in hertz (cycles per second). Data cabling is normally rated in kilohertz (kHz) or megahertz (MHz). Figure 1: 1 cycle completed = 1 hertz. A cable rated as 100MHz will be able to complete 100,000,000 cycles in a single second! Remember: The higher the cycles per second or frequency, the more noise the cable generates. This will make the cable more susceptible to signal-level loss. The bandwidth of a cable is the maximum frequency at which data can be transmitted and received effectively. The bit rate of a network depends on the electronics and not the cable, providing that the operating frequency of the network is within the cable’s usable bandwidth. Put differently, the cable is simply a pipe. It helps to think of the bandwidth as the pipe’s diameter. The network’s electronics provides the water pressure. This could either be a trickle or it’s a gusher, but the pipe’s diameter stays the same. Changing any of these elements changes the maximum bandwidth that is available. When the frequency is increased, the SNR gets worse, resulting in a decrease in the maximum bandwidth. When the distance increases, the SNR also worsens, decreasing the maximum bandwidth available. The opposite is also true – reducing either the frequency or the distance increases the maximum bandwidth as a result of the improved SNR. To keep the maximum bandwidth the same, an increase in frequency means that either the distance must be decreased, or the signal level at the receiver must be improved. If the distance is increased, either the frequency must be decreased, or the signal level at the receiver must be improved. If the signal level at the receiving end is improved, either the frequency or the distance can be increased.